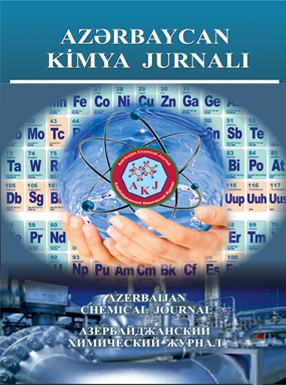 The Azerbaijan Chemical Journal is a sound and respectful edition on chemistry in Azerbaijan. The journal publishes the articles dedicated to the actual problems of chemistry and chemical technology, investigations in the field of inorganic and physical chemistry, organic and petrochemical synthesis, kinetics and catalysis, modelling and optimization of the chemical process, as well the articles on the current problems of ecology. The journal is beeing published since 1959. The first editor-in-chief of Azerbaijan Chemical Journal was a famous azerbaijanian scientist Yusif Mamedaliyev. From 1961 to 1975 the editor-in-chief of Azerbaijan Chemistry Journal was world-known scientist, chemist-technologist with the world name, an academician Murtuza Nagiev. Then from 1975 to 2011 the editor-in-chief became an eminent azerbaijanian scientist, academician Togrul Shakhtakhtinsky. From 2011 to 2014 the journal was headed by academician Agadadash Aliyev. Since 2015 editor-in-chief of Journal has been director of the Institute of Catalysis and Inorganic Chemistry academician Dilgam Tagiyev. The journal is issued 4 times in a year, publication are free. The journal publish the articles in English languages. The editorial receives works not published before. In the articles there should be discussed the issues on which have the concrete (experimental, theoretical, survey analytical with planned prospects) results. Those who wish to publish their papers in the Azerbaijan Chemical Journal should be acquainted with the rules of designing the article.